For the month of January, Sharanya the host of Home bakers challenge for this month, gave us 6 bakes to choose from.The theme was "American Food Holidays" for the month of January. 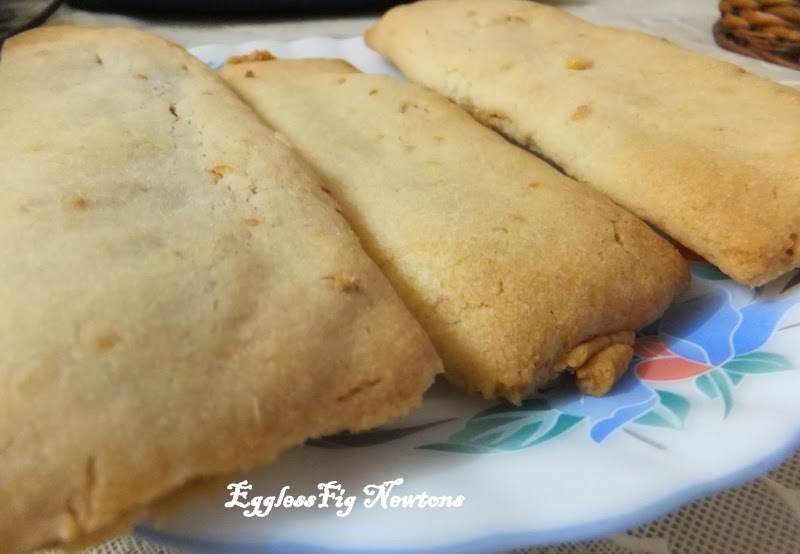 She suggested 6 interesting baked goodies.I chose Fig Newtons.Thanks to Sharanya for suggesting this yummy recipe I and my family loved it. 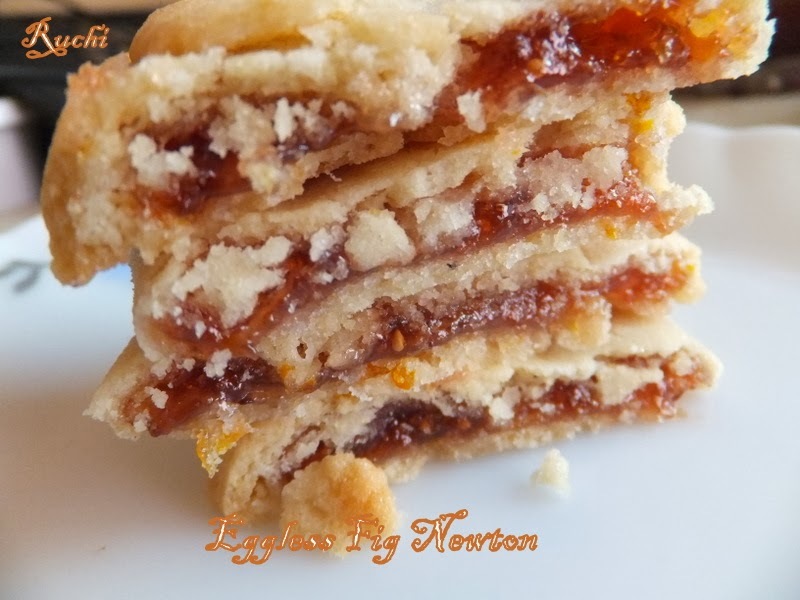 “Fig Newtons” but made with fresh (instead of dried) figs. These are very tasty. Fig Newtons features a flavorful homemade fig preserve inside a buttery, orange-scented cookie. They’re kind of outrageous. The dough for these cookies is very good. When they first come out of the oven, they’re a bit crispy, but the next day amazingly they were still as moist and irresistible as the first day I had baked them. 1.Combine flour, baking powder and salt together and set aside. Cream butter and sugar in a mixing bowl. 2.Add vanilla, orange juice , orange zest and combined dry ingredients to bowl and mix until dough forms. 3.When you’re finished, you should have a soft dough similar to a sugar cookie dough. Wrap it tightly in plastic wrap and refrigerate it until it’s firm enough to roll, for about two hours. 4.Take your chilled dough from the refrigerator and dust a work surface and rolling pin with flour. The dough will get sticky as it warms up, so it’s best to do this quickly and avoid adding any more flour than necessary. 5.Roll dough between two pieces of parchment paper into two 12 x 4 inch rectangles. 6.Spread the fig mixture on one half of each rectangle - spreading up the 12-inch side and leaving a 1/4-1/2 inch border. 7.Fold the dough over on top of itself and gently press the dough together at the edges. Cut each log in half and transfer onto a greased baking sheet. 8.Bake the cookies in the 200 degree oven for 12-15 minutes, until they’re puffed and golden brown around the edges. 9.Slice cookie- into several 1" long sized segments and cool.Enjoy!